Thinking Is Dangerous: Totally Hypothetical Remedy? - MHRA introduce certification mark for herbal remedies. I wonder at the long-term legal ramifications of these registrations and the legitimacy they infer. Most readers of your blog would be familiar with the case of Australian baby Gloria Sam who died after her homeopath father ignored medical advice and treated her severe eczema homeopathically. Both mother and father were sent to jail for manslaughter. If someone chooses to use a medicine which is registered for "traditional use" and suffers serious consequences as a result of the fact it is medically useless, will they be in a position to press charges or will the labelling act as a legal loophole for the manufacturers and distributors? A sort of "we never said it WOULD work". 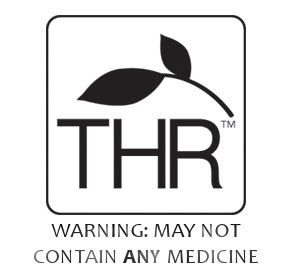 "The CRM (Committee on Review of Medicines) recognised that these traditional products could not be assessed in the normal way and agreed that provided the product was intended for a minor condition, suitable for self-diagnosis, then evidence documenting the use of the product would be accepted in place of results of pharmacological tests and clinical trials. Where licences were granted in such circumstances they were required to be labelled with a statement along the lines of 'a herbal remedy, traditionally used for the symptomatic relief of …If symptoms persist, consult your doctor.' In the case of more serious disease conditions the CRM advised that it was not appropriate to relax the requirements for proof of efficacy." So I guess there is some admission of "it'll be ok as a placebo". Also, I meant to write it in the blog, but the THR mark is not obligatory, which dilutes is use even further. I see that this was just stated as bald fact in the guidance document, with no supporting evidence. Why are these remedies not amenable to assessment? And why, given the lack of assessment, are they presumed to be appropriate for sale? Sounds like classic 'special pleading' doesn't it? Snakeoil-person :"Oh yes evidence is good, but our products don't yield evidence in the same way, so you have to accept my word, that I really really *promise* they work". Another possible effect of substances taken as medicines is interaction with conventional drugs. For example, there is some evidence that St John's Wort helps with mild depression, but it can adversely affect any of a long list of modern drugs (try Googling "St John's Wort risks"). The fact that a herbal remedy has a long traditional usage history is no comfort at all in this respect for the obvious reason that modern drugs have not been around that long. Is this assessed as part of the 'safety' issue by MHRA and if a new drug appears on the market where a serious mal-interaction occurs, can the certification mark be withdrawn? This is a European directive that the MHRA were powerless to stop. What will be interesting is when these LTHRs are advertised. With MHRA approval they can be advertised, but only as far as their licensing allows; i.e. in relation to the condition referred to in the license, and a rather unwieldy tag making it clear on what basis the remedy is being offered (i.e. exclusively based on use as a traditional remedy). But this is an implied claim of efficacy, and so is forbidden by the CAP codes. What we have is CAP saying its unacceptable, the advertising clearance bodies agreeing, and the ASA agreeing. The MHRA are totally aware of the fact, but can't do anything to stop it. This is a massive regulatory contradiction It will probably only take a single complaint for the whole thing to unravel. CHeers for that Beacon, perhaps we can ensure when the time comes that there won't just be one complaint, eh? I complete agree with your commentary on this issue. However, isn't it the case that the efficacy of some conventional medicines has likewise never been established?